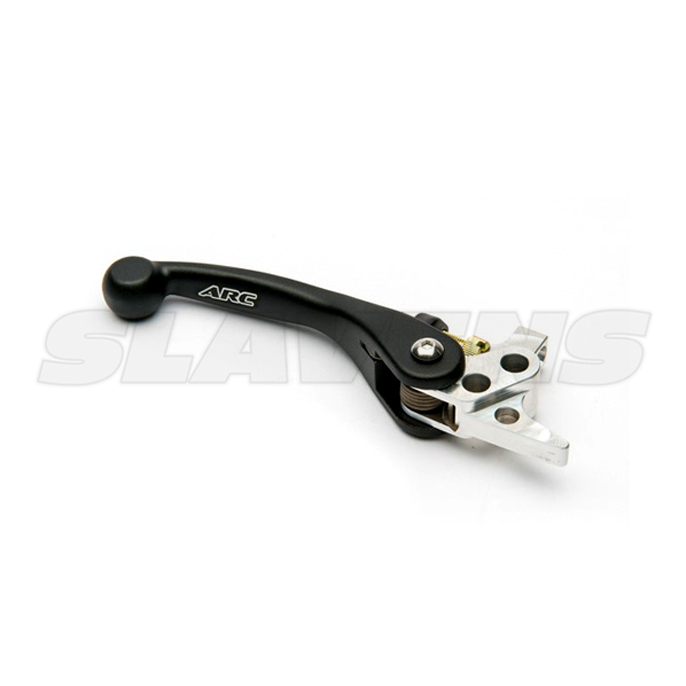 All ARC Brake Levers famously fold forward when you go down (and every off roader does!) so they don’t bend or break in a fall. Available in unbreakable Memlon™ (45% lighter than aluminum, ridden by many of the top MX, EX, Enduro and Quad Champions), comes in black with smooth finish. Pick your choice above and you’ll always be able to ride to the finish line and back to your truck after a crash. They are strong enough to do the job yet can be bent and straightened over 20 times without any diminished appearance or strength.